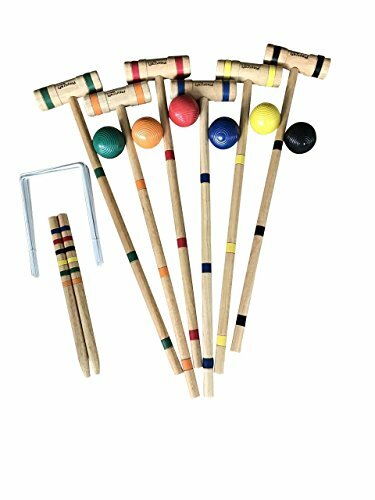 Bring together your family and friends to enjoy the classic game of Croquet by Playcraft Sport. This quality 6 player set is made using dense hardwood for durability. The mallet handles, heads and end posts have each been lathed turned and hand painted with colorful primary colors and color match with the all-weather polymer balls. Whether played individually or in teams, Croquet is a game that is easy to set up and great fun to play! If you have any questions about this product by Playcraft Sport, contact us by completing and submitting the form below. If you are looking for a specif part number, please include it with your message.